The Electrochemistry Game Challenge is an online quiz competition that will run during the annual ISE Meeting this year. Among many different questions, spectroelectrochemistry will be one of the topics included; you can learn more about this technique and about its novel applications in the most recent published scientific papers using Metrohm DropSens products. Basic questions on electrochemistry will be also included in the Game, such as why some of you would be interested in having an Screen-Printed Electrode with a Ag/AgCl reference electrode. For those who already know the answer to this question, we have now released Screen-Printed Carbon Electrode ref. C11L with Ag/AgCl as reference electrode..
Metrohm DropSens has now available Screen-Printed Carbon Electrodes with an Ag/AgCl reference in work in solution format (ref. 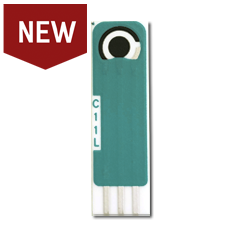 C11L). Many researchers, used to work with Ag/AgCl conventional electrodes, have requested this reference in the past as a customized product and now it is available in our catalogue for ordering. 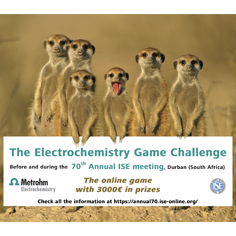 The "Electrochemistry Game Challenge" is an online competition set for all the participants of the 70th Annual ISE meeting that this year will be celebrated in Durban (South Africa). It will run before and during the meeting, from August 1st to August 8th. The Game is similar to a "Trivial", includes questions related to electrochemistry and instrumentation, and is based on challenges between the participants. Join the game to be able to win one of the 10 available prizes for a total of 3000 EUR! 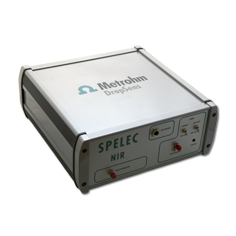 NIR spectroelectrochemistry has scarcely been used for deconvolving aqueous mixtures due to the water restriction in this spectral range. A recently published paper, using the SPELEC NIR instrument, overcomes these limitations offering an interesting approach for the study of mixtures of molecules with similar electrochemical and spectroscopic behaviour. Si desea recibir mensualmente noticias sobre nuestros productos, háganoslo saber a través de nuestro formulario de contacto.